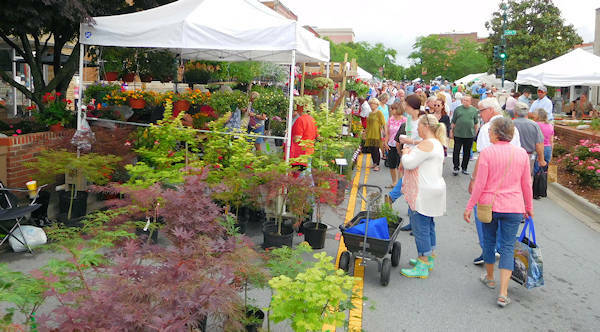 Held on Memorial Day Weekend, one of the largest gardening shows in the Southeast covers eight blocks of Main Street in downtown Hendersonville. 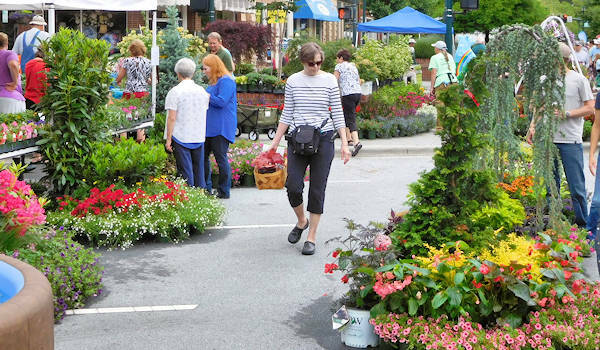 Even if you don't have a green thumb, you'll enjoy browsing 250+ plant and craft vendors. It's BYOW (bring your own wagon)! 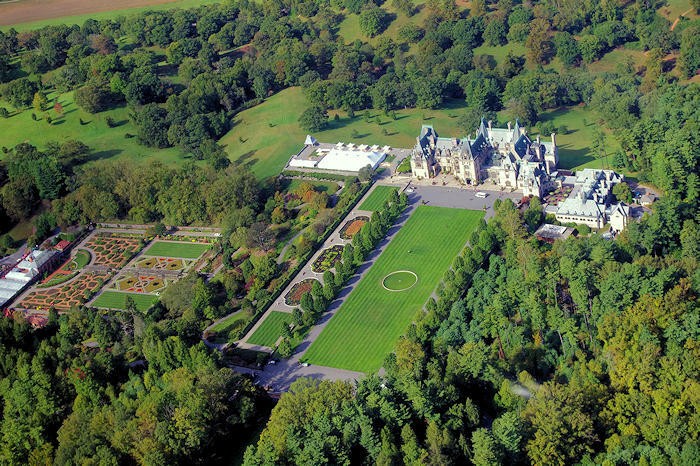 Held 9 AM until 5 PM each day, the Garden Jubilee has been named one of the Southeast Tourism Society’s “Top 20 Events” in May. Local and regional nurseries sell thousands of annuals, perennials, vegetables, herbs and hard-to-find plants. Crafters sell fun garden art, handmade lawn furniture, jewelry, garden tools, planters, wind chimes, birdhouses, soaps and pottery. Learn the latest techniques and get tips from gardening experts. 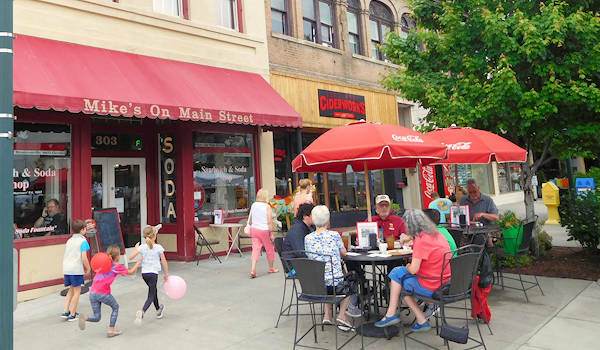 Go to the Lowe’s Expo at the Visitor Center at 201 South Main Street for free lawn and garden workshops, beautiful patio displays, exhibits on how to build block walls and patios with pavers, outdoor furniture, grills and lawn equipment. National product representatives give free samples, helpful advice and tips. You can even bring a sample from your yard for assistance with problems. Two hospitality tents (in front of the Historic Courthouse and at the corner of Fifth Avenue and Main Street) offer a spot to drop off purchases so you don't have to carry them. Pick up a map and event details there. Tip: Bring a wagon to carry purchases. No pets allowed in the festival area. There's no admission. Find plenty of parking in surrounding parking lots. 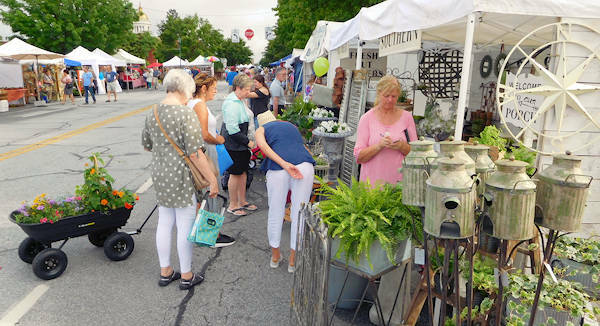 Go to the Hendersonville Web site for the latest festival info. Even if you are not a gardener, you'll love seeing all the beautiful displays that transform Main Street into a public garden! All the stores, galleries, restaurants and breweries downtown will be open too. Plan to spend much of the day! 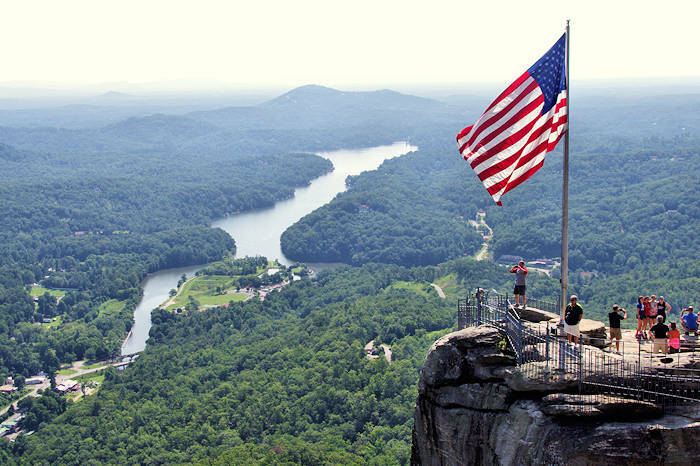 For more things to do, see our Hendersonville Guide and our Memorial Day Weekend top picks.